Lift, HIIT, Rest, Repeat. Just 4 Days a Week! Because you’re only working out 4 days a week, Joel makes every second count during each workout; they’re structured to keep you lifting on pace and constantly moving, while timed rest periods allow you to catch your breath before attacking each set. Joel believes if you train smart you’ll never overtrain. Three recovery days a week give muscles time to repair so you can push harder, lift heavier, and get better results faster. There are two phases for maximum results: For the first 6 weeks, you’ll build, cut, and define your body, followed by 2 weeks to burn through calories and fat, revealing your ultimate physique. And since a hardworking body needs fuel, we’ve put together a LIIFT4 Nutrition Guide to make sure you’re getting all the protein, nutrients, and healthy carbs you need for your best results. Joel co-created the mixed martial arts-inspired workout phenomenon, CORE DE FORCE, with Jericho McMatthews. This time, he’s flying solo — and he’s pumped to get you motivated with the same workouts he does at home that have given him crazy-good results. 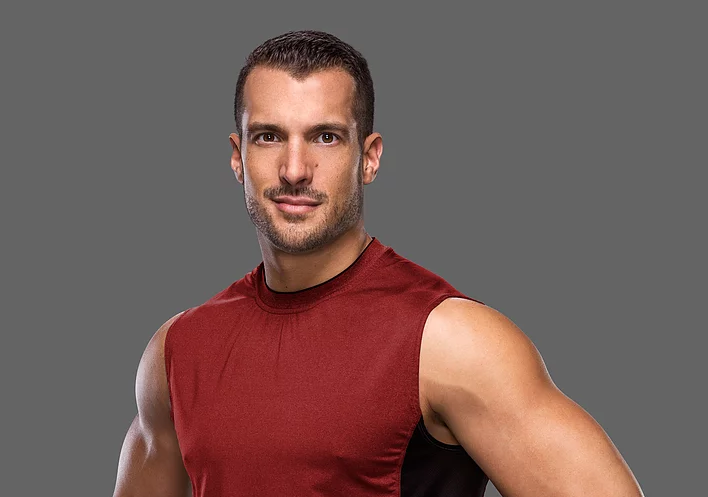 Working over 15 years in the health and fitness industry, Joel has held certifications from the American Fitness Association of America (AFAA) and the American Council on Exercise (ACE), and he’s currently a National Academy of Sports Medicine (NASM) Certified Personal Trainer and Behavior Change Specialist. From running day-to-day operations in gyms in Texas and Washington to directing Group X programming at Gold’s Gym SoCal and becoming an International Fitness Presenter — he’s done it all. Check Out These Men’s and Women’s LIIFT4 Results! Even though you’re doing 4 working a week, the workouts are structured for maximum results by only targeting specific muscles groups each day. And by having three rest days, you’re actually allowing your body to repair your muscles so you’ll be able to you perform even better on your scheduled workout days. In addition, the LIIFT4 Program and Nutrition Guide features simple, back-to-basics nutrition with common sense guidelines that facilitate muscle building and fat burning. The BEST part is, you can still have a life — the plan includes an optional “cheat day.” There are no gimmicks, no complicated recipes. Just five easy steps designed to deliver serious results.